The XmlDocument class represents an entire XML document as a DOM tree and can be used to add, delete, and change nodes in the tree. DOM trees consist of nodes of different types, as shown in Figure 5.1. Figure 5.1: A DOM tree is a collection of nodes of different types. 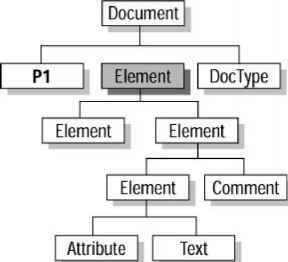 Note how attributes and the text content of elements are nodes in their own right. 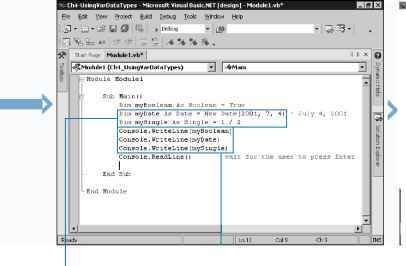 The document itself is represented by a Document node (often known as the document element), and beneath this is an Element node that represents the root of the XML document, shown shaded in gray in the figure. Table 5.5 lists the types of nodes that you may find in an XmlDocument DOM tree.